India is now ready for business as never before, Prime Minister Narendra Modi said here on Friday as he listed a host of initiatives taken by his government for attracting investments and improving ease of doing business. 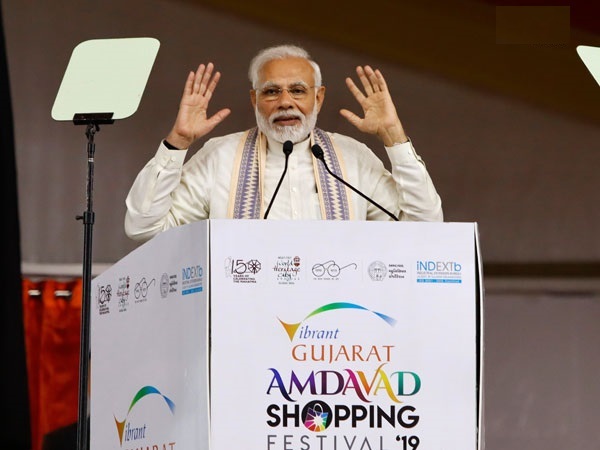 Gujarat: India is now ready for business as never before, Prime Minister Narendra Modi said here on Friday as he listed a host of initiatives taken by his government for attracting investments and improving ease of doing business. 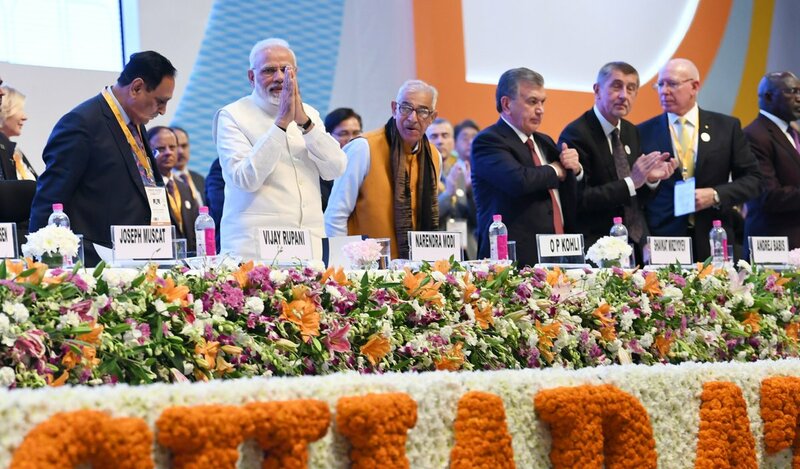 Addressing the 9th edition of Vibrant Gujarat Program, the Prime Minister highlighted that India has moved up Global Ranking of World Bank's Doing Business Report by 65 places and the country is in its best form as far as business is confirmed. The Prime Minister also informed that he has asked his team to work harder so that India is in the top 50 next year. "Major financial institutions like the World Bank and IMF have expressed confidence in India's economic journey. We are focused on removing the barriers which were preventing us from achieving our full potential," he added. Further elucidating on the financial development in the country, he said, "Those who visit India regularly would have felt a change in the air. The change is both in terms of direction and intensity. Over the last four years, the focus of my government has been to reduce government and enhance governance." "We have also made Doing Business cheaper. The historic implementation of GST and other measures of simplification of taxes have reduced transaction costs and made processes efficient," he added, highlighting the benefit from the implementation of GST. He added, "We are among the largest ecosystems in the world for Start-ups. Doing business with us is a great opportunity. This is also because we are among the Top 10 FDI destination in the World." Praising the initiatives by his government, he added, "Investments through our 'Make in India>' initiative, have been well supported by programmes like 'Digital India' and 'Skill India'." He also said that India has received FDI worth USD 260 billion which is 45% of the FDI received in the last 18 years. "At 7.3%, the average GDP growth over the entire term of our Government, has been the highest for any Indian Government since 1991," the Prime Minister added. "In the last 2 years, we have moved toward a low-tax regime on the Corporate side. We have lowered the tax from 30% to 25% for new investments as well as small and medium ventures," he further said. Speaking about the achievement of the government he further added, that for the first time, India has become a net exporter of electricity. "We have distributed LED bulbs on massive scale which has resulted in a huge energy saving. We've installed transmission lines at an unprecedented pace," he said. 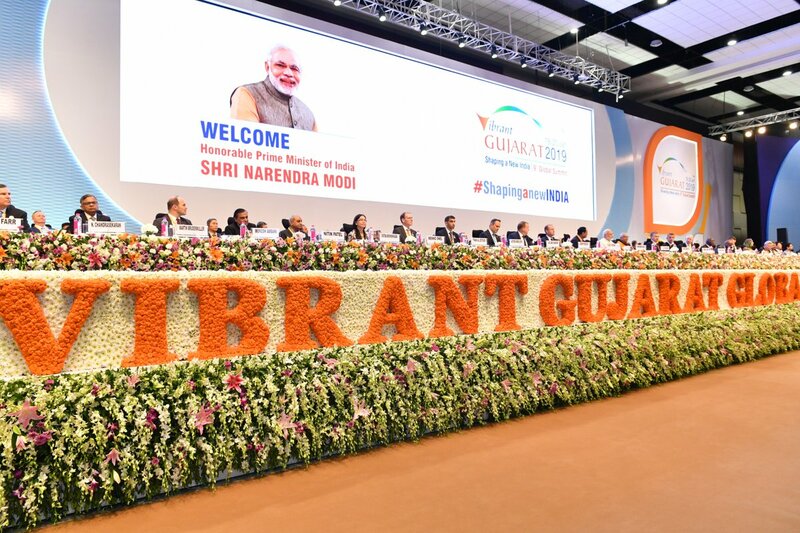 Vibrant Gujarat Summit was conceptualized in 2003 by the Prime Minister, who was then the Chief Minister of Gujarat with an aim to re-establish Gujarat as a preferred investment destination within India. 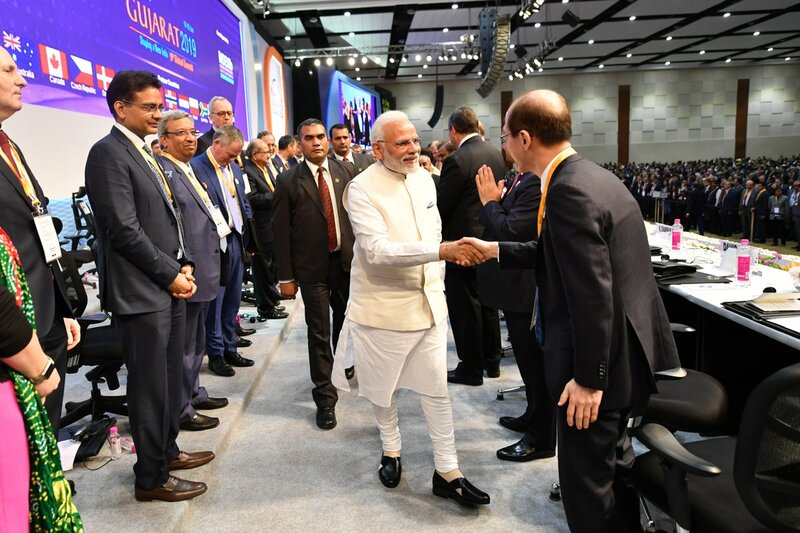 More than 30,000 national and international delegates including CEOs of major firms from India and abroad attended the biennial three-day event in Gandhinagar. The Vibrant Gujarat Global Trade Show is being held on a two lakh square metres plot of land situated in Gandhinagar. More than 20 industrial and business sectors will showcase their products at the event.